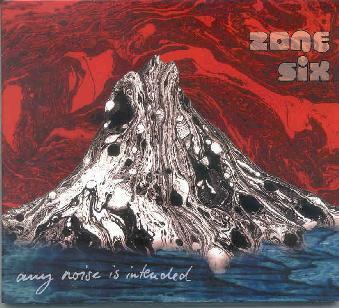 Zone Six - "Any Noise Is Intended"
Zone Six is a totally improvisational group from Berlin. They have existed for many years and features current and past members of Liquid Visions. This is the second studio CD they have released. This material was recorded in a studio in 2000 but only just now released on the new German Label Sunhair. I saw the band live back in 1998. The past couple of years the band has not played that may gigs but this year looks like they will play more. The CD begins with the long 20 minute track called "Score Trek". It begins with some spaced keyboards and loads of bizarre sounds and echoed guitars, etc. before it builds its groove up. It remains slow and spacey for 10 minutes or so. Now things start to happen and a great Ozric tentacles like jam fest begins. Great stuff. "Any Noise Is Intended", the title track, takes us back out into space for another 14 minutes but this time the journey is long, slow and spaced out to the max! "Psss..." follows and is a strange soundscape more than a real song. "Bauchfellhavarie" begins with some strange sounds and a voice saying "Hello" and then everything gets phased and wobbly and very strange. Who put acid in my coke? "The Gotthun" closes the CD and we are back to songs and this one is much more like what the band have done in the past but the synths play a greater role and sound great. This is a great CD to chill out and take a journey with. The most spaced out stuff the band have ever done, in my opinion. A great way to start a new label, with a first class space rock release! For more information you can visit the Zone Siz web site at: http://www.zonesix.de.